The music of the Csángó people of Moldavia enjoys great popularity in Hungary, not only amoung fans of folk music, but also in early music circles as well. The dances and music of the communities of Hungarians living today in Romania exhibits distinct differences from the folk music of Hungary and the Carpathian Basin in general (i.e: Transylvania, the Southern Slavic countries), and contains many elements which have been preserved from or are similar to the music of Medieval Europe. Typical instrumentation includes wooden flute, kaval, and violin, as well as koboz (a fretless lute) and drum, which constitutes an ensemble which can play Hungarian, Romanian, and Balkan music with equal facility. Formed in 2008, the Berka Ensemble is one of Hungary’s newest and most dynamic bands playing the music of Moldavia and the Gyimes region of Transylvania. The full sound of the combined melody instruments of two flutes and a violin is powerful, and adds variety to the instrumentation without breaking from the music’s roots. Recently the ensemble has also experimented with putting the poetry of Csángó writers to music, and including such instruments as double bass, cello, and plectrum dulcimer in the original compositions. Since 2009 the band has made three research trips to Moldavia and played 50 to 60 dance-halls a year. 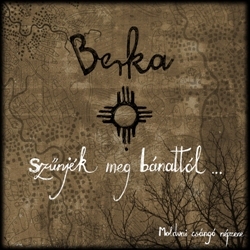 The ensemble’s first disc, „Szűnjék meg bánattól”, was released in December of 2010.